Homeland is coming to an end. 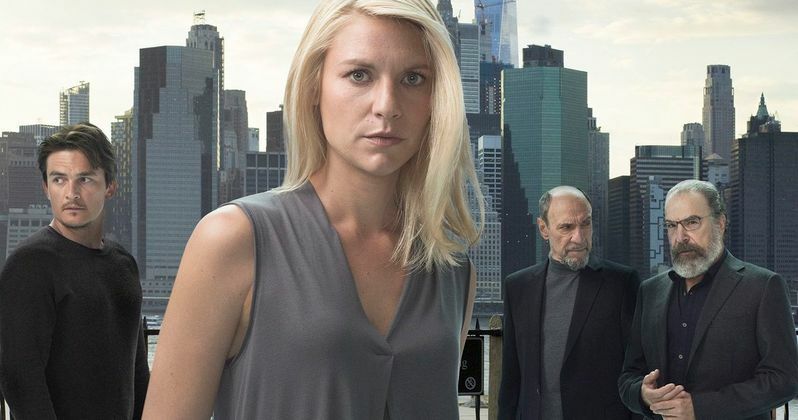 Showtime has yet to officially confirm that the long-running series is concluding, but both star Claire Danes and showrunner Alex Gansa say that Season 8 will be its last. Starting with Danes, she recently appeared on an episode of Howard Stern's Sirius XM show. When asked about rumors that season 8 is going to be the show's last, Danes responded simply by saying, "Yeah, that's it." Even though Showtime won't commit to saying that Homeland season 8 will wrap it up for the acclaimed CIA series, that's a pretty blunt answer. Claire Danes added that she's "really conflicted" about the show ending. While she will certainly miss the role and the series, which has truly been at times one of the best shows on television by the vast majority of accounts of those who love it, it's a demanding show that takes a lot out of her. Here's what Danes had to say about it. "I mean, I'll be ready. She's a lot, this Carrie-freakin' Mathison character. It's a workout, so I'll be ready for a reprieve from that." Showrunner Alex Gansa, in a separate interview, revealed some of their plans for Homeland season 8 and also stated that it will conclude things. While he wouldn't get too specific, he says that the series will be returning overseas and that the season 7 finale will place the pieces where they needed to be in order for them to be able to finish up the story they've been telling. Here's what he had to offer about next season. "[Season 7 arranges] all the pieces on the chessboard to make that a proper finale for the story we've been telling. We get to play this last season in D.C with the intention of taking us overseas for one last chapter. Season 8 will be overseas somewhere. We get to play a story with larger national stakes in season 7 and we'll go back to a smaller intelligence-based season in 8. We get to pull out all the stops this year and then get to the emotional heart of things in season 8." The showrunner added, "We're going to start fresh in season 8 and probably do a fairly big time jump between 7 and 8 and put any Trump parallels behind us. We'll tell a very contained story, hopefully in Israel." Homeland season 7 is currently still airing Sundays on Showtime, but the finale should help clue fans in as to what they can expect from what by all accounts will end the show. But still, Showtime is understandably reluctant in committing to announcing it. Homeland is the network's' longest-running drama series, which has won several major awards over the years, including a prestigious Peabody Award in 2012. Given the flexible nature of the show's storytelling, it's possible that Showtime could find a way to do some sort of spin-off, or re-brand Homeland with new actors and a new showrunner following season 8. Even if that's the case, the series as we know it looks to be racing toward its conclusion. This news comes to us courtesy of Entertainment Weekly.